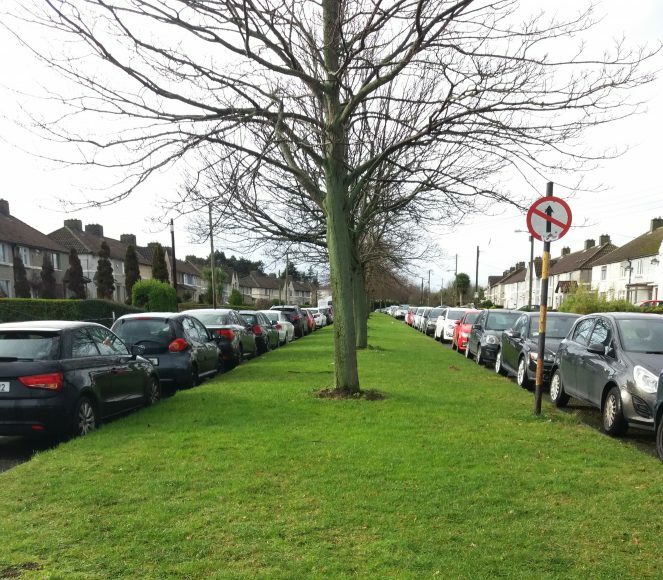 Residents in Mulvey Park in Dundrum are fed up with car parking issues in the estate. It has been reported that people who work in the local business park, Luas commuters and UCD attendees, are parking all day in the estate and is causing parking chaos for people living there. Resident Shan Kelly told Dublin Gazette: “A lot of people from the Dundrum Business Park park in the estate all day long. Secretary of Mulvey Park Residents Association (MPRA), Roslyn Keogh, told Dublin Gazette the problem which started in 2012 has been getting progressively worse over the years and now affects the entire park. “The problem has become so bad. There are days you see people leave their house and they come back an hour later and they can’t park in Mulvey Park and they live here. “There are no parking issues whatsoever at the weekend because it’s only residents’ cars that are in Mulvey Park. “It’s a combination of things, the proximity to UCD, the Windy Arbour Luas station, the Dundrum Business Park. Ms Keogh said the majority of residents (80%) voted to implement parking permits. Residents can pay €40 for an annual permit or €75 for a two-year permit and non-residents would be on a pay and display basis. Residents would also be able to buy visitors permits at €2 each. “We’ve spent almost two years with the council working to bring in permit parking, and the council in fairness to them have been absolutely great. “It’s going to the local area committee this month for hopefully the final decision on it,” said Ms Keogh. Local Councillor Pat Hand (FG) said Mulvey Park added that there is also a lot of concern that the situation could get worse with local development. “There is a lot of concerns in the area regarding the development of the Central Mental Hospital as when the development starts it could bring the parking situation even worse. 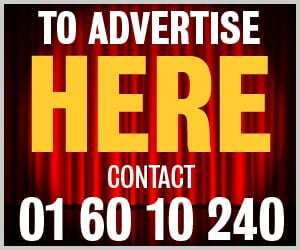 “I would ask the council traffic department to meet with the residents and business people in the Windy Arbour area including Mulvey Park to try and work out overall plan for the area,” said Cllr Hand. Cllr Shay Brennan (FF) said a draft proposal is due to come before the council in the coming months. “In the meantime, better enforcement is required to alleviate the parking problem in Mulvey. “Currently, a car is likely to get a €40 ticket once every two weeks, this makes it just €4 a day to park there, which is providing no disincentive to non-residents,” said Cllr Brennan. “This matter was before the Area Committee in October for their consideration, please see link below.